This is my premier longboard for the average to experienced surfer. Designed and tested when I was travelling the globe surfing professionally, I found that this board surfed well in all conditions. Big or small, the signature model complimented my longboard style; a mixture of old school and new flair manoeuvres. 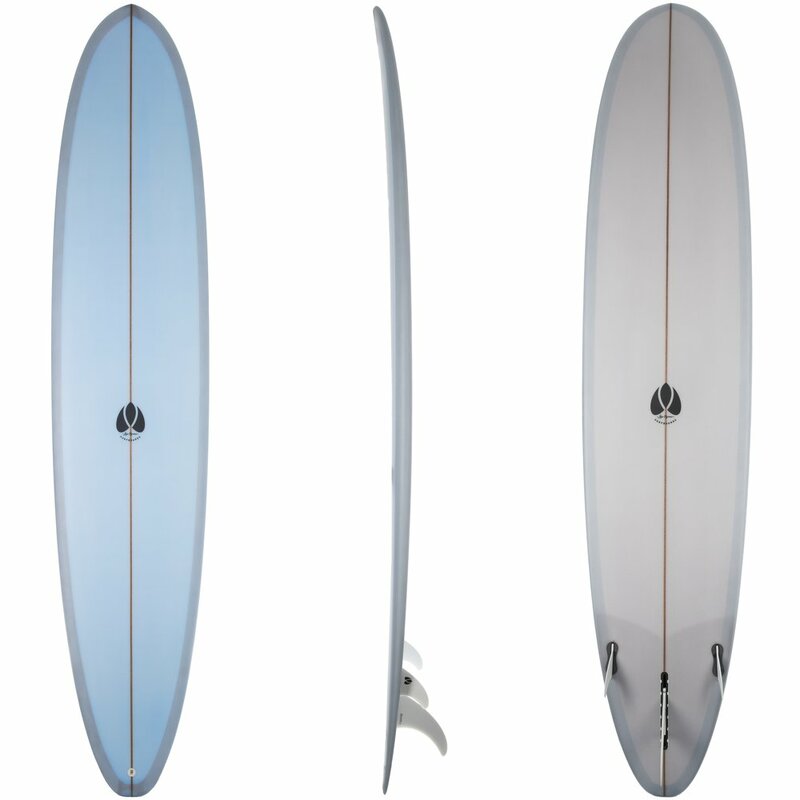 This shape allows for a smooth glide, carving turns and effortless nose riding. Featuring a slightly pointed nose, subtle hip, a mid to low rail and a balanced rocker with a late tail kick. The bottom contour is blended and broken down into 4 slices. Starting with a single concave nose slice moving into a roll bottom, followed by a generous double concave and finishing off with a deep v-hull. This promotes water flow through the bottom of the board and enhances your chances of ’riding and smiling’. Available as a small rounded square tail (stock option - top right photo) or rounded pin (custom order - bottom right photo).